Max comes with a flat, colorful style. You can choose from six prebuilt layouts: Home, Work, Branding, Services, About and a case study. 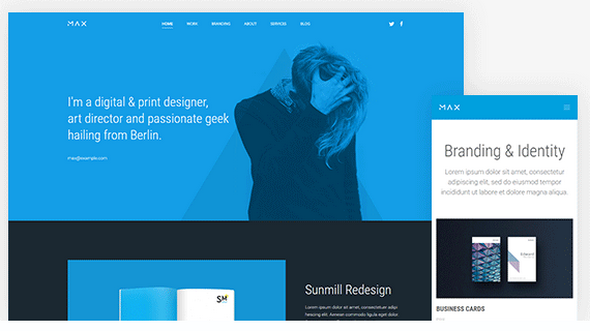 These provide the perfect base for any personal or freelance portfolio website.